Outside Center Patrick Dobbins makes a tackle against the Rochester backline. 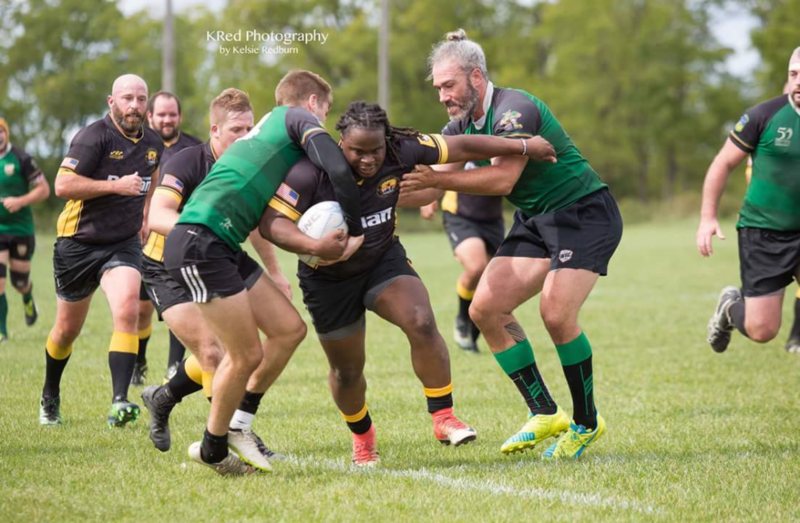 ROCHESTER, NY – After a close and disappointing loss last week in Cleveland, the Forge Men looked to rebound against the Rochester Aardvarks in the fourth week of league competition. 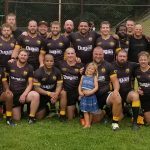 This week’s match would be their third consecutive on the road and the Forge hoped to take a 2 – 1 road record back to Pittsburgh before a nice four week home stand, including a much needed bye week on October 6th. From the gate, the Forge was able to take command of the ball and drive down to score just three minutes into the game. Captain Rous Kluever (PITT) was able to set down his fourth try of the season, but missed the subsequent conversion. The Forge would immediately threaten two additional times, but each attack was thwarted by penalties near the Aardvark goal line would cost the Forge possession and chances to extend the lead. 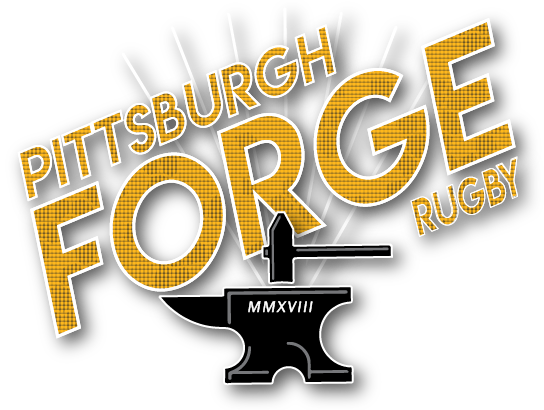 At the seventeen minute mark, Rochester was able to touch down a try that would tie the game, missing the conversion to match the Forge. 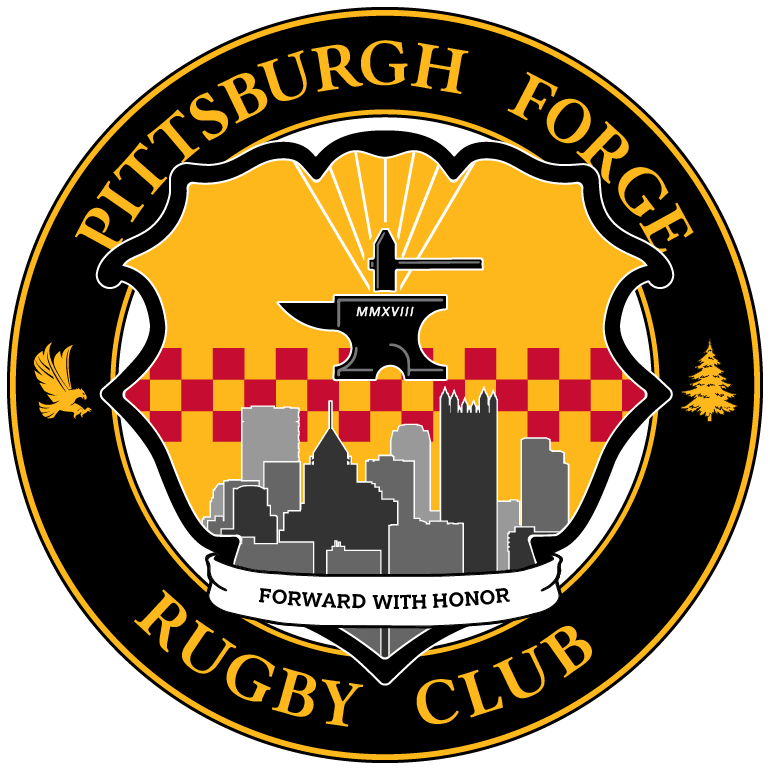 The Forge would take the lead back, just seven minutes later when veteran loose forward Tim Bagatti (PITT) would set down a try, but once again the conversion would be missed by Kluever. 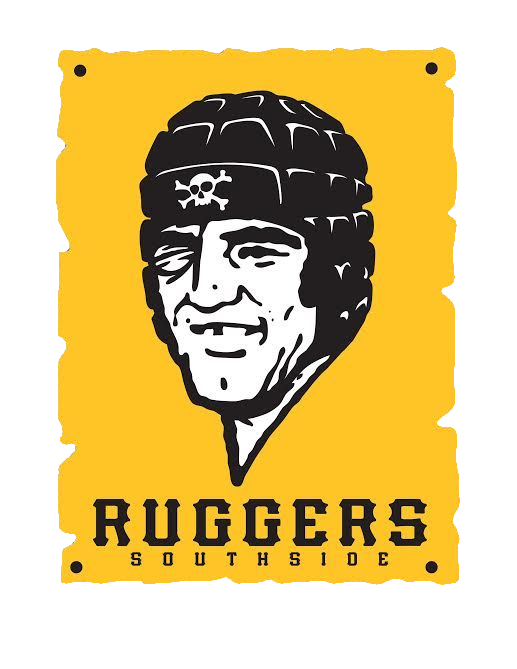 Just four minutes later, the Forge would threaten again, but Rochester would find possession on a Forge miscue answer back with a try with a long try. After the conversion, the Aardvarks would take a two point lead, 12 – 10. Winger Tony Wilson carries the ball against the Rochester Aardvarks on Saturday, September 22, 2018. 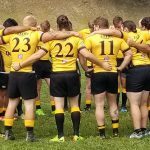 The rest of the first half would be spent playing back and forth rugby before flyhalf Tyree Massie (Cal U) would break two tackles and find the try-zone for his first score as a member of the Forge at the thirty-nine minute mark. This try would also go unconverted and Forge would take a narrow 15 – 12 lead into the half. 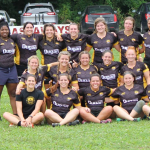 The second half would begin with more back and forth rugby with solid defense being displayed by both sides. At the fifty-minute mark, Rous Kluever would break through for his second try of the day, this time nailing the conversion to give the Forge a ten point lead, 22 – 12. The comfortable lead would be short-lived; as Rochester would again answer just a few minutes later with a converted try of their own to bring the score closer once again. Five minutes later, the Aardvarks would get their second lead of the game when their inside center would dot down a try and the conversion would be nailed by the Aardvark winger. This was their largest lead of the day, 26 – 22 with a little under twenty minutes left to play prompting Coach Stephen Walsh to make some lineup adjustments to get on some fresh legs.  Reserve back Josh Robertson (SRU) would come on for Patrick Dobbins (UPJ) and Trevor Keough would come on for Tyree Massie. 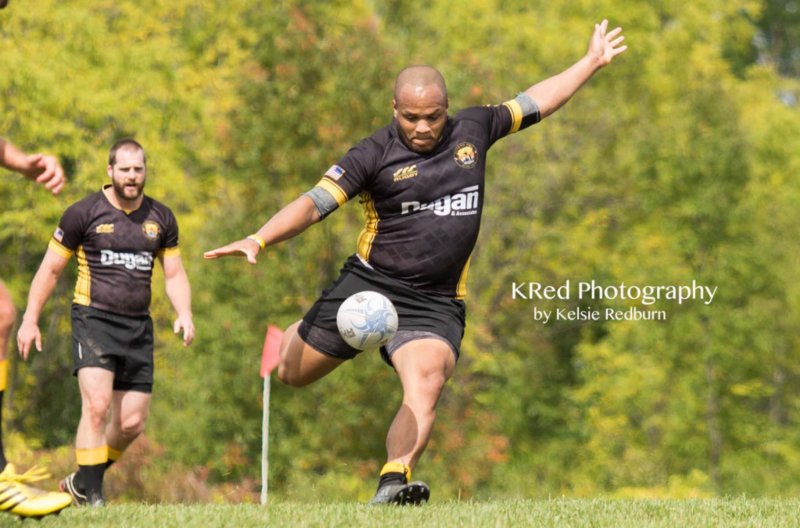 Flyhalf Tyree Massie kicks the ball against Rochester on Saturday, September 22, 2018. The spark seemed to work for the Forge as they were able to drive down and get three quarters Billy Gordon (Villanova) into the try zone to regain the lead, but with the missed conversion, the lead was only one. Rochester would score again to take the lead just a few minutes later, 31 – 27, with just under ten minutes left to play. 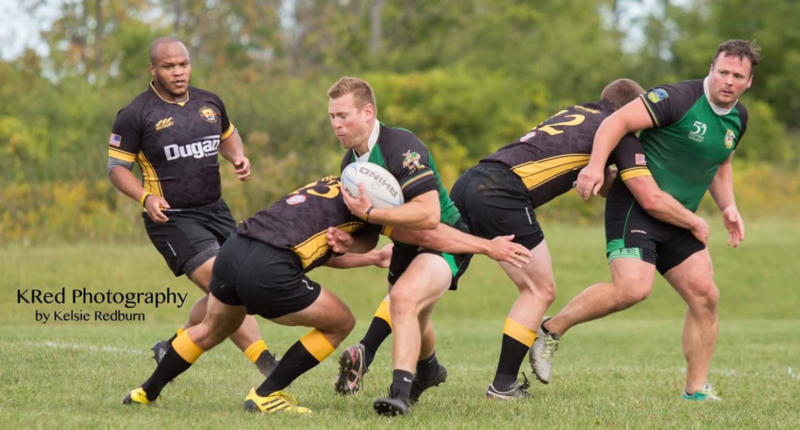 Like the other losses that the Forge had this season, the club would regain possession and threaten once again for the game winning try, but ultimately, after a knock-on inside the Rochester twenty-two, time would expire and the Forge would suffer the second heartbreaking loss in as many weeks. Reserves: 16 – Frank Cacciotti, 17 – Josh Robertson, 18 – Eric David, 19 – Trevor Keough. Substitutions: 54’ – Cacciotti for Benvenuti (IJ), 56’ – David for Jenkins (TC), 61’ – Robertson for Dobbins (TC), Keough for Massie (TC).